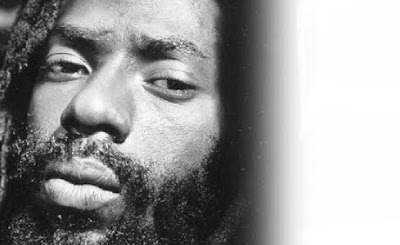 The Lime: Who is the Buju Banton informant????? Who is the Buju Banton informant????? It has been alleged that the informant in the Buju Banton case has been paid up to 3.3 million USD so far by the government. On Thursday Buju's attorney went to court asking for more information on this informant. Buju Banton's lawyer, David Oscar Markus, is claiming the confidential informant, who United States (US) prosecutors are depending on to make their case against his client, for years, has been paid to assist American law-enforcement agencies. Markus is also claiming the informant has already earned, but has not been paid, for his role in the case against Banton, whose real name is Mark Myrie. The dancehall star's attorney laid the allegations in court yesterday, as he appealed for more information on the informant, whose name was not disclosed. Markus told US Magistrate Thomas Wilson that based on the information given to him by prosecutors, the informant was being paid on a contingency basis and is to get a portion of any money the court might order Myrie to forfeit. This will be in addition to what he is allegedly supposed to pocket if the pro-secution proves the case against Banton. Markus has repeatedly argued that Myrie was set up. "The lengths the government will go to to create crime when no crime existed is depressing. Do we really want to be paying criminals millions of dollars to ensnare innocent, hard-working men?" Markus told The Gleaner . According to Markus, his preparation for Myrie's trial, which is scheduled to begin on April 19, is being hampered because prosecutors have not provided him with sufficient information to cross-examine the informant. He said he needed details about a tax case involving the informant, information on the other cases on which the informant had worked, and specifics on his criminal history. However, assistant US attorney James Preston argued that he had complied with court requirements and turned over all information that might help the defence. According to Preston, providing details on every case on which the informant had worked could put the informant in danger. The judge agreed that Myrie's lawyer was not necessarily entitled to more information but still ordered the prosecution to give the defence all communication by law enforcement or prosecutors asking for beneficial treatment in the informant's tax case and immigration file. He also ordered the prosecutor to give the defence a list of cases in which the informant had testified for the prosecution. Myrie has been in custody since last December when he was slapped with drugs and firearm charges. The reggae icon is accused of conspiracy to possess cocaine and aiding and abetting the possession of a firearm in furtherance of a drug-trafficking crime. His lawyers are arguing that the artiste, who exploded on the international scene with the 1995 album Til Shiloh , was entrapped by the informant. Etana and I-Octane added to family fun fest! Matisyahu on Mash Up Mondays! Munga says he was arrested for "One Little Splif"
Kartel Mavdo concert in Barbados cancelled! Why did Cornell Phillip leave WCK?????? Michael Jackson Dr. interrupted CPR says witness. Sean Paul rocking new do! Gyptian's Ex responds to his song "Hold Yuh"
Deva Bratt is not dead! Fake Jah Cure Facebook Uncovered! New music from Payday coming soon! Ky-Mani Marley on Book Tour promoting "Dear Dad"
Lava pregnant by Usain Bolt???? Nhojj is #1 on MTV Music Top 100!!!!! This is how I love Rihanna! Elephant Man launches "The Fan-ta-log"